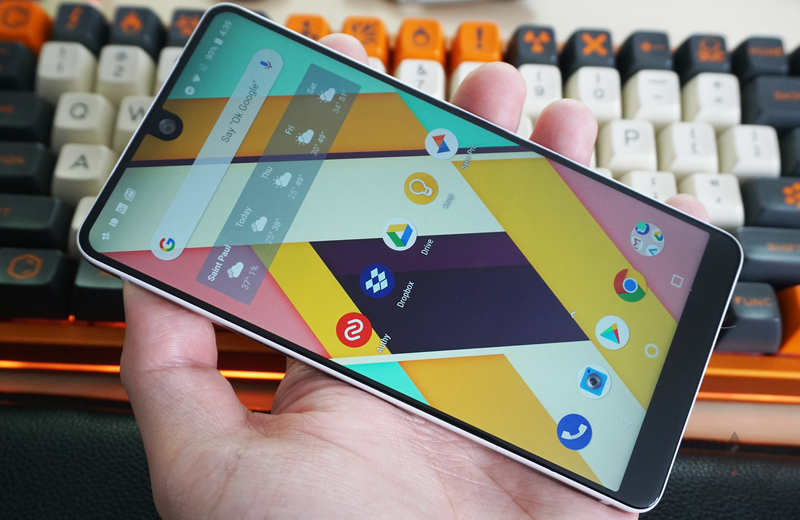 The war on bezels has been hard-fought, and smartphone makers like Samsung, OnePlus, and Google have made steady progress in their quest to minimize wasted space. The masses have cheered the heroes on as they endeavor to end bezels, but you have to be careful what you wish for. 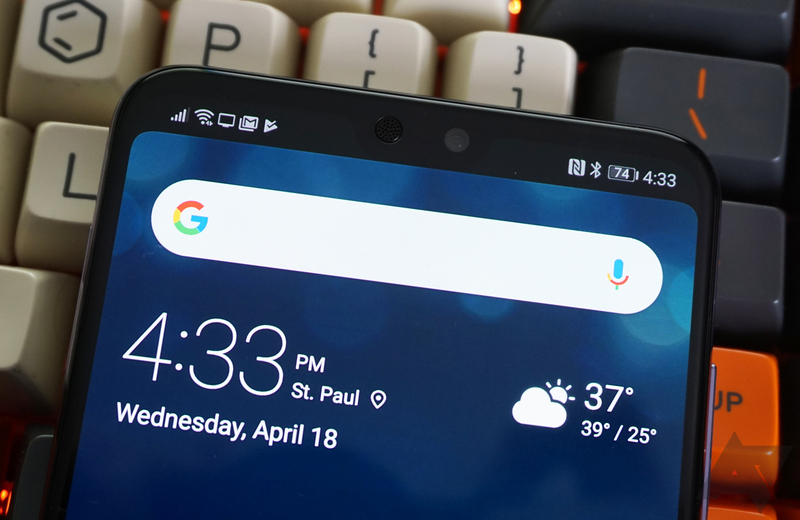 Device makers are now trending toward display notches to shave off what little bezel is left, but not all of them are doing it very well. In fact, some display notches are little more than lazy iPhone clones. That does not mean display notches can't be done well on Android, but we don't have all the pieces of the puzzle yet. Minimizing bezels on a phone is partially aesthetic—maybe even mostly aesthetic, depending on the OEM. However, there's a practical use case for it as well. If you can slim down the bezels, you have more viewing area without making your phone huge. That's why everyone is moving to 18:9 display ratios now. You have a phone like the Note 8 with a 6.4-inch display, which is a historically giant display. Samsung's 18.5:9 display ratio ensures that you can still hold that phone comfortably in your hand. Go back in time a few years; the Nexus 6 has a 6-inch screen, and it was 11% wider than the Note 8. The notch isn't only about looks. Like a taller aspect ratio, a notch helps you fit more screen in the same footprint while leaving room for the camera and sensors. You might not be using that chunk of screen very often anyway. The middle section of the status bar is usually empty (unless you're the type to let notifications pile up for hours). Moving the status bar content up to the space on either side of the notch essentially gives you more space for things that aren't the status bar. Notches aren't an automatic space-saver, though. Look at the Essential Phone, for instance. This device has a very tall, U-shaped notch. The result is a status bar that's 72 pixels tall or 2.8% of its vertical resolution. The Pixel 2XL's status bar only takes up 1.7% of the vertical. So, a notch like Essential's doesn't save you as much space because the status bar has to be so much larger. Notches are best if they can fit in a status bar-like space. If the goal of screen notches is to increase available screen real estate, then it makes sense to push that panel all the way to the edges. That's what Apple did with the iPhone X, and people are responding positively to it. 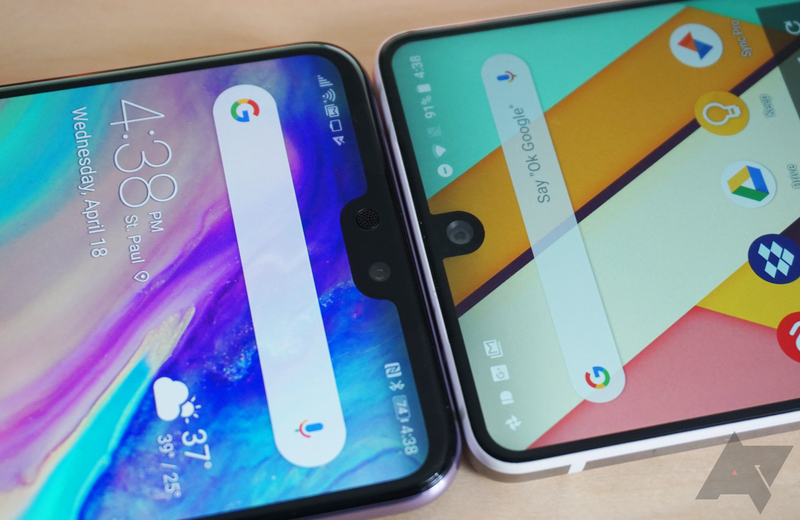 However, many of the screen notch efforts we've seen on the Android side lack that "all screen" vibe—these phones still have chins. Apple used an OLED panel on the iPhone X that bends backward at the bottom. That allowed Apple to get the display drivers behind the screen and push the visible area right up to the edge. Thus, the iPhone's bezels are symmetrical, which is a big part of the appeal. 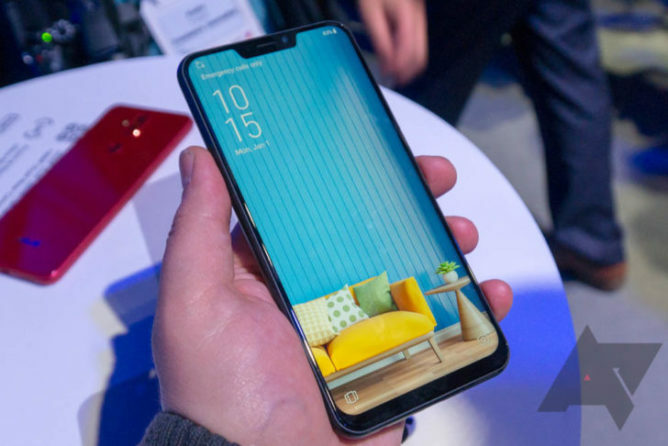 Asus, Essential, and Huawei have tried their hands at notches, but they all have chins at the bottom. In the case of Huawei, the bezel on the top is also a bit larger than it is on the left and right of the display. I'd chalk all this up to a combination of laziness and frugality. As a result, most notched Android phones have an unpleasantly asymmetric look. 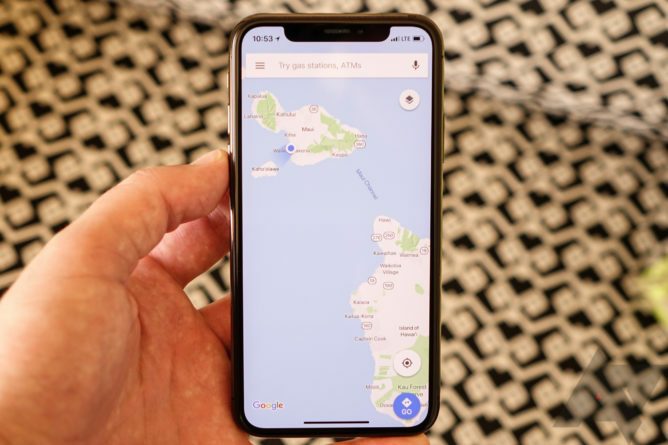 If you're going to be stuck with a chin, why not center the display and do away with the notch entirely? ZTE offered an attractive potential alternative to the asymmetric nature of notches. The Iceberg design project has a notch at the top and bottom. However, it's unclear if we'll ever see that phone now that ZTE is in hot water with the US government. Jimmies are rustled on the internet whenever the subject of display notches comes up. Some people are vehemently against them on aesthetic grounds (I don't particularly like them myself), but many commenters thought Samsung's edge displays looked bad at first. Maybe in time, we'll all just get used to notches. If not, there may still be some recourse for notch haters. Huawei includes a display mode on the P20 that hides the notch by making that part of the screen black. It's like your status bar items are floating above the display. On that phone, it has the added benefit of making the top and bottom look more symmetrical. The P20 Pro with the notch "hidden"
Some of the animosity toward notches is no doubt because it looks like Android is copying Apple. People seem almost offended by the very idea, but iOS and Android trade ideas back and forth all the time. If notches are in vogue, you can't blame Android device makers for following the zeitgeist. By far, the most significant problem with display notches right now is that Google hasn't had its say yet. We know that Android P will support notches at the system level, but the final version won't launch until later this year. Until then, every OEM is hacking together notch support however they want. Apps don't understand the notches, and everyone is changing the layout in different ways. In Android P, Google will provide OEMs with the tools to advertise a phone's notch location and dimensions so apps can work around them. The status bar will also get some tweaks to better work with notches. Important UI elements and video content won't be cut off, even if OEMs start experimenting with weird notch shapes and locations. The most obvious notch-related change in P looks to be the clock on the left. I was initially skeptical of this, but it makes sense if you're going to have notches all over the place. The clock is the largest element of the status bar, and the size is fairly consistent. Other persistent icons like WiFi, vibrate, and DND come and go based on your settings. It makes sense to give those one side of the bar so you don't have an overflow from cramming the clock in there, too. There's currently no rhyme or reason to the way OEMs organize items around notches—that's just another thing that's going to take time to straighten out. This conundrum reminds me of the original Moto 360. That watch debuted with a flat tire screen, which it needed because the display drivers connected at the bottom, and Moto wanted to keep the other bezels narrow. Sound familiar? Notches are the new flat tire. It might be a reasonable compromise for now, but I think we can all agree it would be better if we didn't need the notch to get more screen real estate. Maybe screen notches are just a pitstop on the way to designs that are truly all screen, but we'll have to put up with them for the time being.